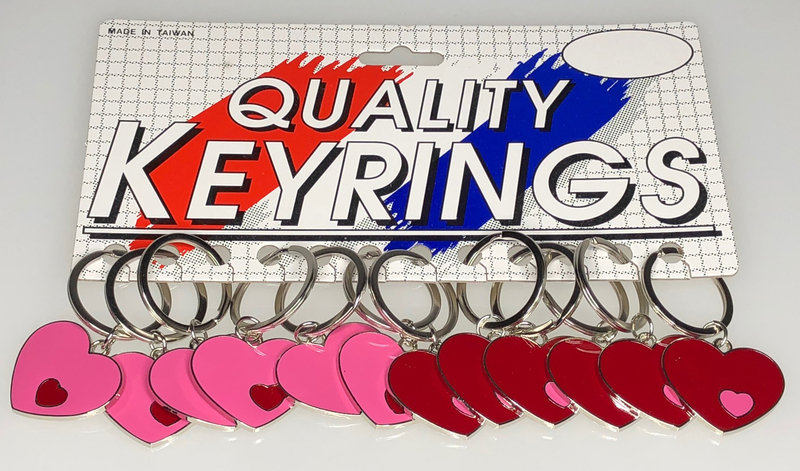 This item is a heart inside a heart key tag. 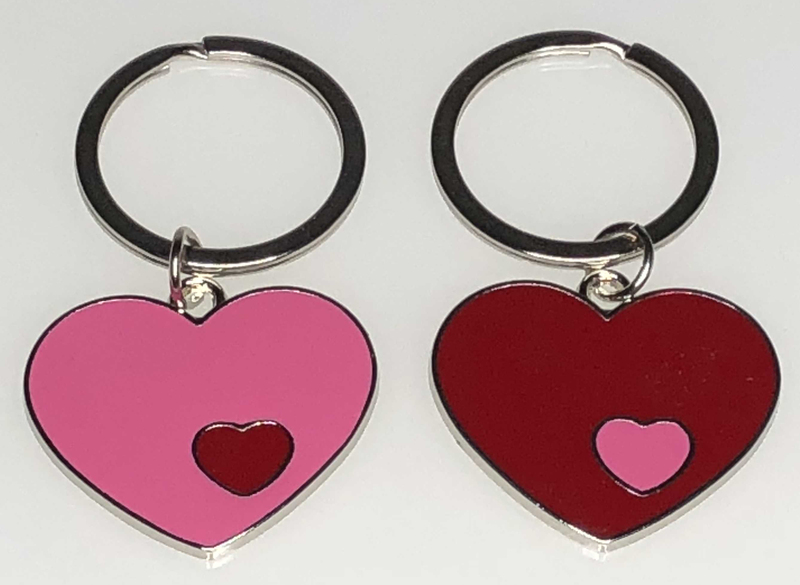 Available in 2 colors assorted: Large PINK heart with a small RED heart and also in the reverse of a large RED heart with a small PINK heart. These are made from zinc alloy, are nickel plated, and then filled with soft enamel. Each piece measures 1.25" and are attached to a 1.25" flat split ring. Packaging is bulk - 12/Bag.